Ravenala madagascariensis, commonly known as Traveler's Palm or Travellers Palm, is a species of banana-like plant from Madagascar. It is not a true palm (family Arecaceae) but a member of the bird-of-paradise family, Strelitziaceae. It is called the travellers palm because the stems hold rainwater that can be used as an emergency drinking supply. 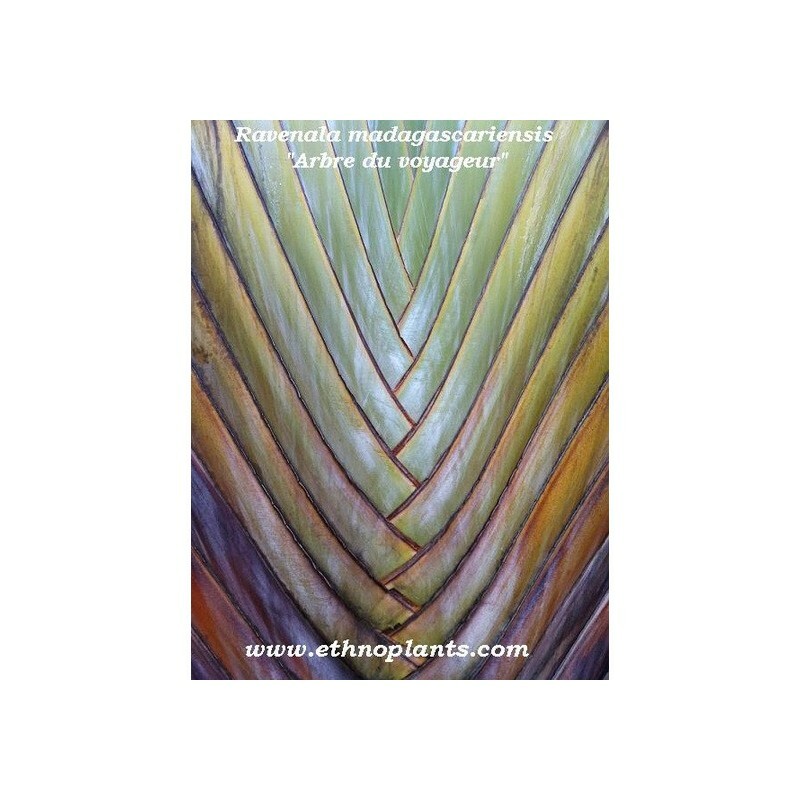 The enormous paddle-shaped leaves are borne on long petioles in a distinctive fan shape aligned in a single plane. Unlike its close relative the Bird-of-paradise, the flowers are small and inconspicuous. 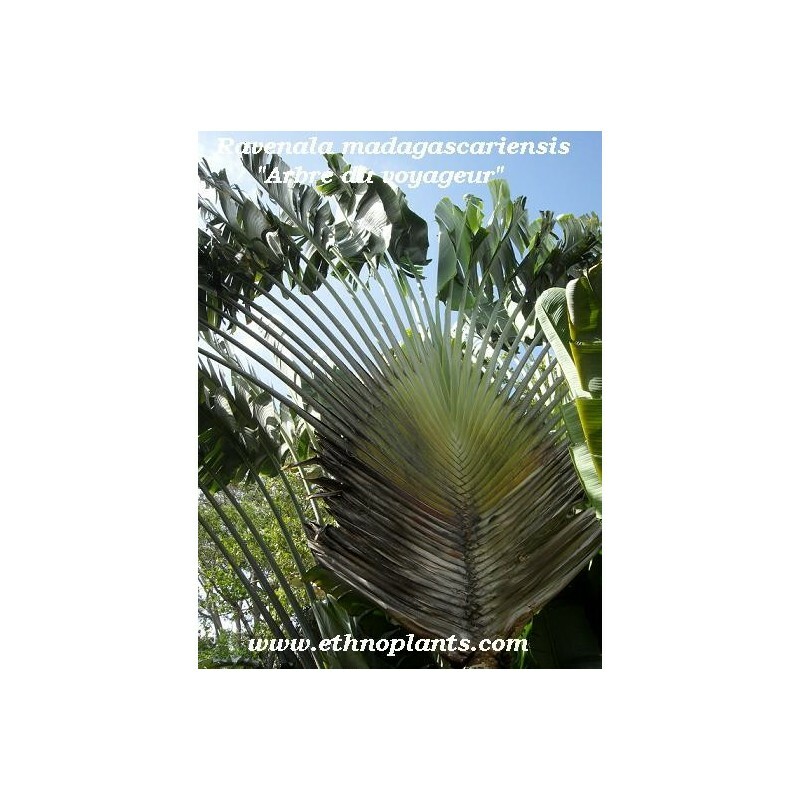 The plant is widely cultivated for its distinctive foliage in tropical and subtropical regions. bonjour, Vous dites planter ds de la tourbe . Est ce que vous faites un melange tourbe / terreau ? Il faut avoir de la patience mais avec cette technique, les graines germent facilement. À utiliser aussi avec le strelitzia et bananier.